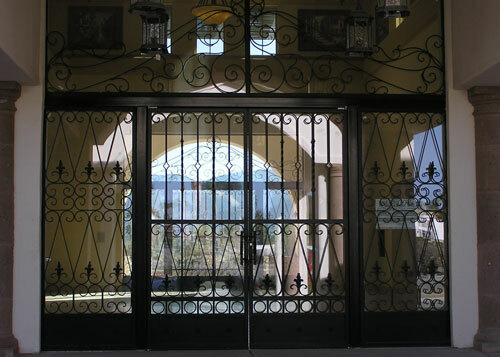 Since 1980, Advance Iron Works has created beautiful, functional, expertly-crafted iron gates, fences, railings, and security doors and window guards at affordable prices for our thousands of satisfied commercial clients throughout Riverside County, the Inland Empire, and the Palm Springs area. 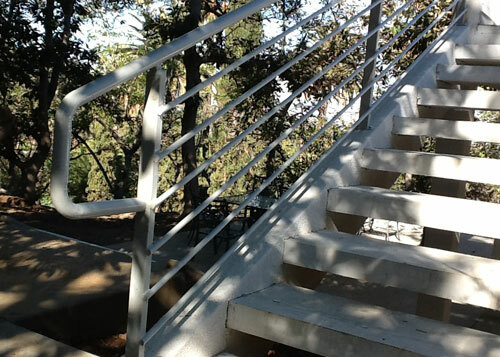 Our family-owned and operated business has over thirty years of experience creating and installing custom-designed iron work for Southern California businesses, and our highly-skilled, experienced craftsmen observe only the highest standards of professionalism in their work. In addition, our owner, Stephen Berger, personally supervises every project from inception through completion, regardless of project size. 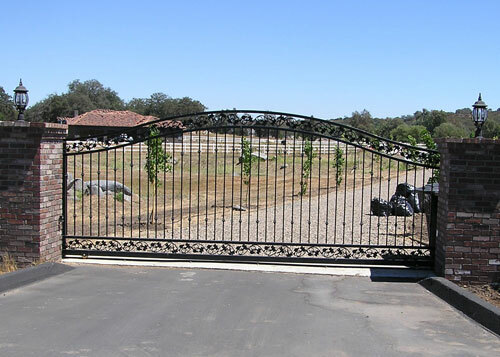 At Advance Iron Works, we specialize in creating custom-designed iron work to fit any budget. We expertly craft our ironwork using a range of available iron types, depending upon your need and budget, and we also offer a choice of ornamental, standard or galvanized tubing. With our wide range of custom colors and finishes, your ironwork can be perfectly color-matched to coordinate with your existing building. 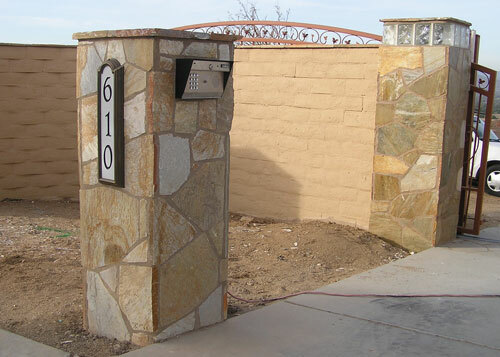 In addition, you can also choose to have your ironwork installed with only a primed finish, and then complete the remaining finishing yourself. Iron is the optimal choice to use for the fences, gates, railings, and security doors and window guards in your commercial building. 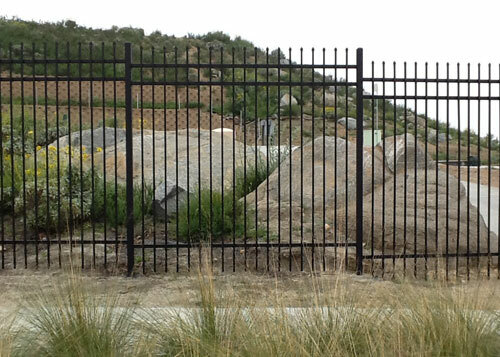 Whether you need a fence to enclose your property's perimeter or to fence off various aspects of your property or business, we will design a fence to work perfectly according to your specifications. And with our range of available security options, you can make your property secure without sacrificing your building's beauty: Our popular spear-topped fences deter trespassers as well as enhance the curb appeal of your business. 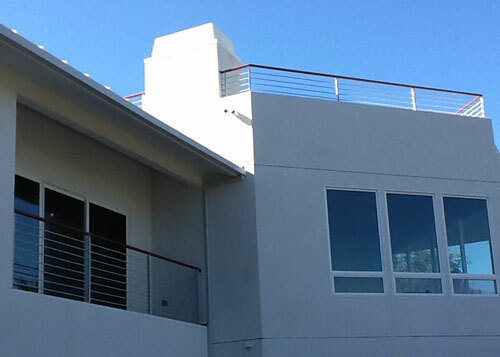 We also offer safety ironwork, and can craft and install railings, window guards, security doors, and folding doors. 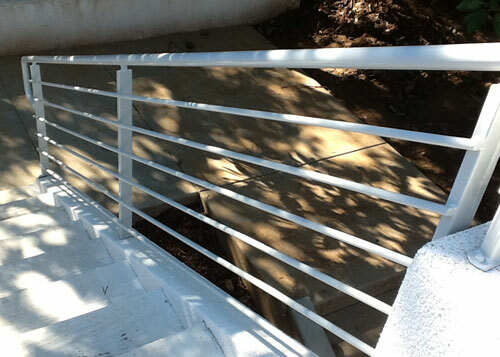 In addition, our guard rails and handicap rails conform strictly to ADA code. 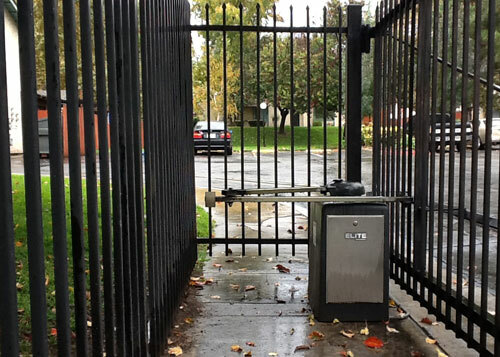 We also install motorized gates, complete with your choice of access control, including: keypad entry, telephone entry, fob, gate remote, transponder, and proximity card reader systems. 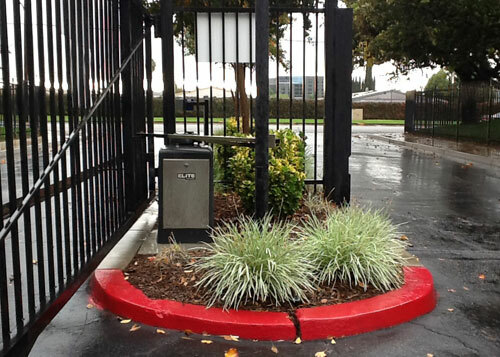 Access control systems make it easy to keep a log of guests who enter your property. They provide ease of access to tenants, residents, patrons, and employees, while keeping unwanted visitors outside. Choose Advance Iron Works. 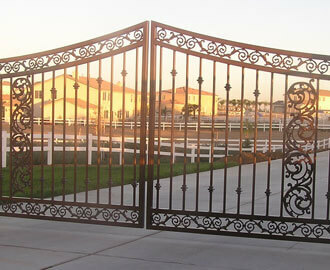 Join our thousands of satisfied customers, and entrust us with your home or business ironwork needs. 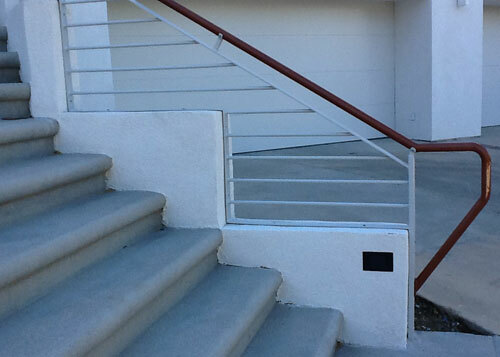 We construct and install all of our ironwork in strict compliance with all applicable building code, and our expert craftsmen perform all of our work quickly and efficiently, causing no damage to your landscaping, building or property. Call us today for a free estimate. Advance Iron Works is licensed, bonded, and insured.